Imagine being on an elevator and being asked to share why you do what you do. What would you say for the next 30 – 45 seconds? My guess is that if you had time to think about this, you might choose to tell a story that captures an accomplishment, a challenge or a memory. It is these stories that remind us of the power of schools, the influence of teachers, and the dynamic learning that is possible for our students. The power of the story has long been recognized as a unique way to share both our learning and the learning of our students. I have been amazed since the launch of the One91 blog how many SD 91 employees, regardless of position, have school / classroom / student stories to share. I have appreciated the emails, phone calls and conversations where people have clearly told me WHY THEY DO THE WORK THEY DO! Just a reminder that our October CHALLENGE question is now up and I am hoping that we can beat the # of responses that we received from the September challenge. Mr. Vogelsang’s grade 4 class from Sinkut View has challenged classrooms across the district to share the best ‘SPORTSMANSHIP’ story that they have from this school year. 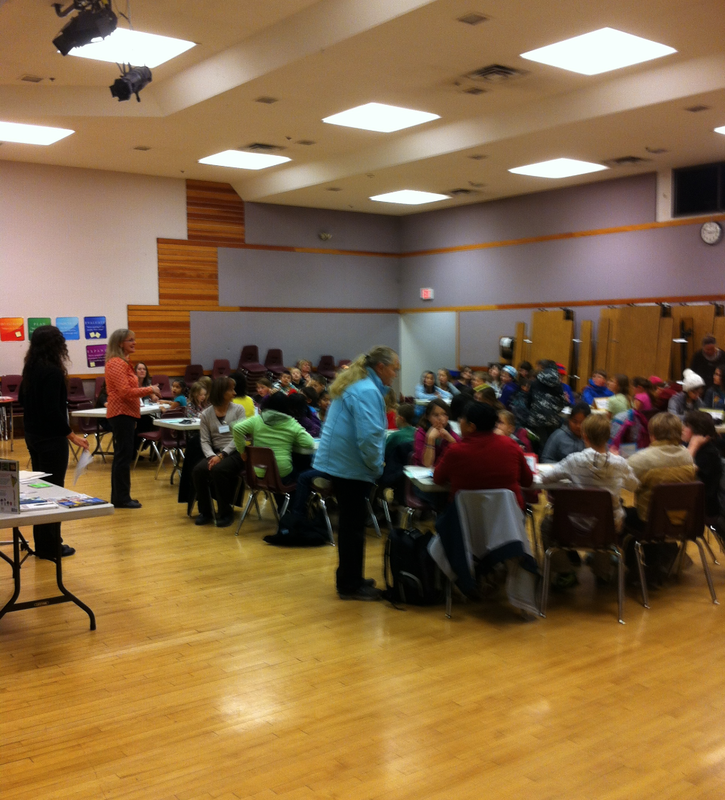 Conservation Destination was held in the NVSS Small Auditorium on Friday, Oct. 26 with 8 school teams participating. 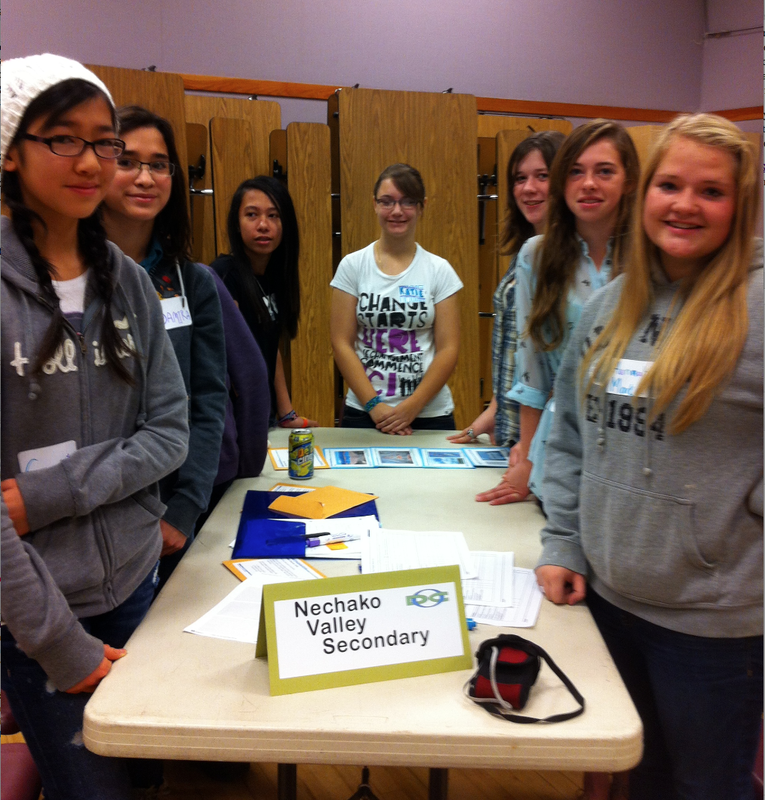 NVSS Principal Lynn Maksymchak says the morning was full of energy and learning. One of the participating teams was the NVSS Enviro-Vikes who are sponsored by Mrs. K Russell. This school team is not just talking about recycling, but they are actively DOING things to make a difference. Way to go Enviro-Vikes! Where is the happiest place on Earth? If you guessed “Easter Seals Camp Winfield,” then you are correct! This summer, I took my class of exceptional students to Camp Winfield for an exhilarating week of safe, fun activities in an environment where the focus is on abilities, not disabilities. All of their camp activities were designed to build confidence, independence and peer- interaction in a recreational environment. For many of my students, this was their first opportunity to be away from home and to explore a wide range of new activities, such as canoeing and climbing on a climbing wall. At camp, the students were divided into small groups and supervised by camp counselors who bubbled with enthusiasm and energy. Two personal attendants from LDSS, Dawn Firomski and Inge Lindaas, accompanied my class to provide individualized support to two of my students. Their high levels of patience, humor and flexibility helped to create a safe and secure environment in which my students flourished. Thanks to financial support from the LDSS PAC and FNEC, my students experienced an unforgettable week of adventure! As promised, here is an update on the experiences of Charles, an international student studying at NVSS this year. A friend of Charles, Visal, shot this video that Charles will be sharing with friends and family back home in China. Recently the first of two groups of SD 91 educators spent many hours on a school bus during the first snow fall of the season travelling to Fort St John. Here is a quick video of their travels to the ELC that is focussed on Project Based Learning for a large grade 10 cohort. TURN UP YOUR VOLUME TO HEAR GERALD! I came to learn of Gerald experiences in Project Agriculture when LDSS careers teacher, Patty Dube, shared with me a follow up questionnaire that she conducts with students returning from projects. She typically receives a 1 – 2 sentence response from students, however when Gerald wrote here back about his experience at Project Agriculture, he filled up two pages. She knew that he engaged with the project at a fairly deep level and agreed to conduct a video interview with him. A student talking about the impact of a hands on learning opportunity is pretty powerful….enjoy. Thanks Patty and Gerald for recording this! As always, you are encouraged to add a comment to this post. Please comment on specific stories that resonated with you or share your thoughts on the power of story. Remember to add your story to the October “Sportsmanship” CHALLENGE!